Tuesday was precisely the kind of day that reaffirmed my decision to redirect my career course and cater to my culinary instincts (as if I ever had any serious doubts). I had registered for “The Flavors of Anatolia,” my second tasting/demonstration event at Boston University’s School of Gastronomy. 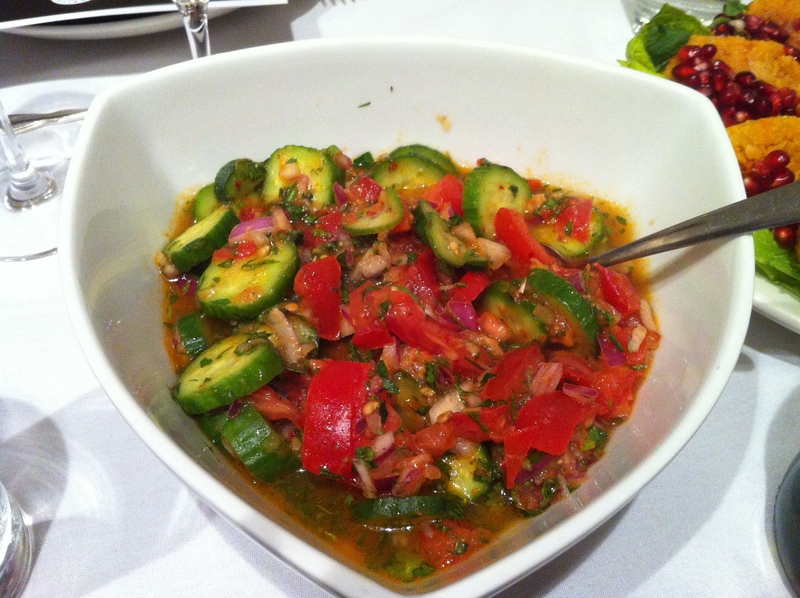 “The Flavors of Anatolia” was part of Boston’s month-and-a-half long celebration of Turkish culture. The annual Turkish festival, now in its sixteenth year, encompassed art exhibits, concerts, lectures, and of course, gastronomic presentations. This year’s theme was “Colors of Anatolia,” a tribute to the “diversity and richness of Turkish culture.” It was clear in catching snippets of conversation that the evening attendees included first timers like me, as well as both perennial attendees, those who have traveled to Turkey for either business or pleasure as well as Turkish-Americans. The only food-related course I took while an undergraduate at the College was an excellent Food and Anthropology class taught by Dr. (now Professor Emeritus) James Watson. Watson is an ethnographer who studied South China for four decades. While he certainly peppered much of this core class offering with lessons from his research in China, I recall covering a range of cultures and issues. We were also able to choose our own topic for our major research paper. I wrote on the history of the bagel/its assimilation into the culinary mainstream of America and consequently spent some fun hours sleuthing in the culinary collection of Schlesinger Library. But I digress . 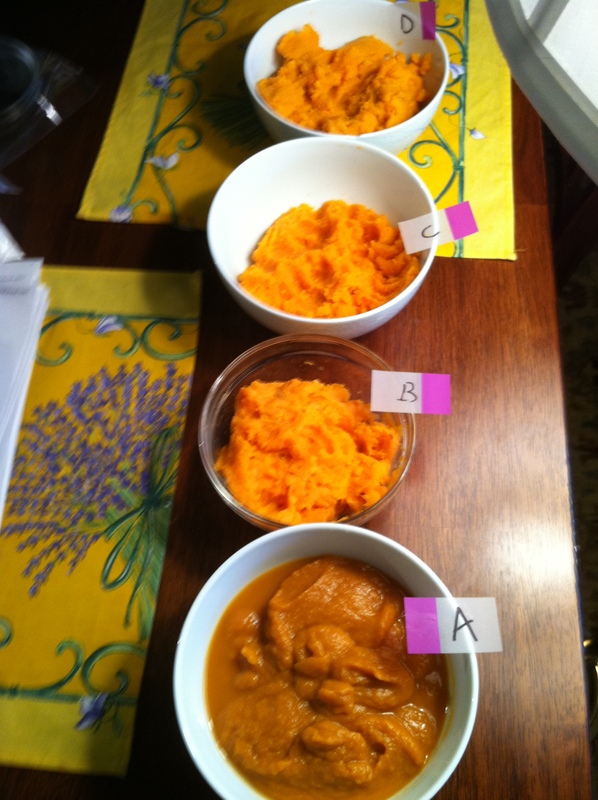 . . All this is to say that there was certainly no science of cooking curriculum during my college years; nor could I have dreamed of the possibility. 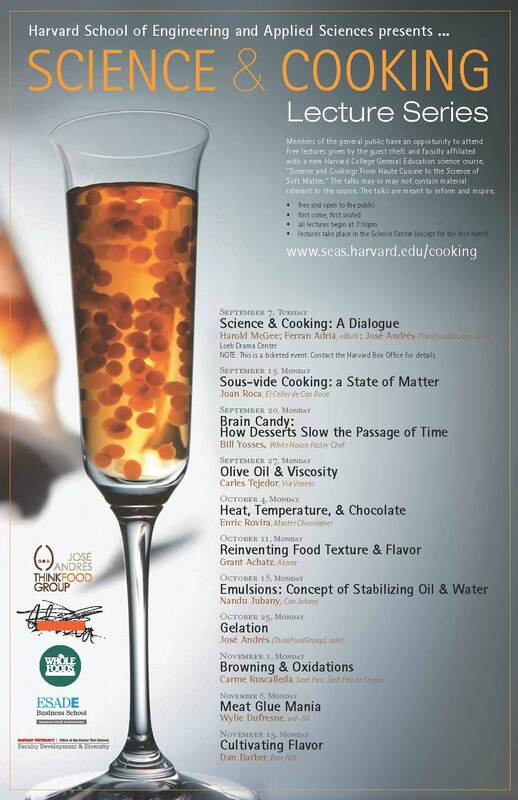 When I learned that I would be interning in Boston this fall, I knew that I wanted to take advantage and attend the (free) public lecture series based on the Science and Cooking Harvard College General Education course. Culinary heavy hitters, including some chef deities, come for free every Monday and give us mere mortals a peek into their fantastic brains. The Monday, October 3 lecture (entitled “Food Texture and Mouth Feel”) featured visionary chef and author Grant Achatz. The topic of the night was Achatz’s ground-breaking, innovative cocktail bar, The Aviary, which he opened this year in Chicago’s meatpacking district.